ABC watches stands for altimeter, barometer, and compass. Watches in the ABC category have the abilities to tell time, of course, measure pressure and altitude around you. If you have a devouring passion for hiking, hunting or involving in outdoor activities, then owning one of the best ABC watches in your arsenal could make your life way easier. However, we have to articulate that when purchasing an ABC watch, fashion statement should be the least of your expectations. You will be looking to have an altimeter, barometer, and compass, all packaged together. It’s impossible to have all these bundled in a small package. Therefore, you should be ready to have a large watch on your wrist. With technological advance, you get spoilt for choice. To ensure you choose the best one, you will need to gather lots of information. Then carefully examine the information, absorb the most important and discard the rest. Of course, for the information to be of help, it has to be accurate. To get the best and most precise information about a variety of ABC watches, read through reviews from previous users. This information will prevent instances where you purchase a watch that gives inaccurate readings while you are in the field. These watches are very popular among hikers, hunters, campers and many others who enjoy outdoor activities. There are several determinants that you should put into consideration when purchasing an ABC watch. Remember, an ABC watch quite expensive unlike the basic Timex watches that you can change now and again. You should, therefore, be very cautious to make sure your hard earned cash doesn’t go down the drain. What is your need for the ABC watch? This question should form a basis for the choice of the best ABC watch you need to buy. An occasional hiker, a marathoner, and an avid mountain climber will all have different needs. 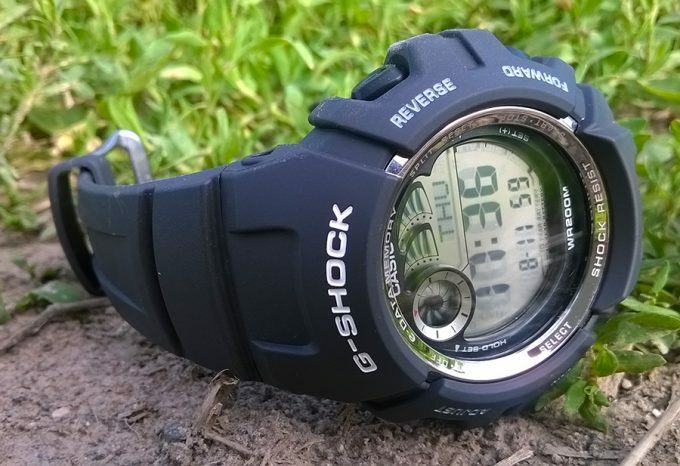 An occasional hiker won’t require a very expensive watch. A simple ABC watch will suit as long as it has the primary altimeter, barometer, and compass. A marathoner, on the other hand, will require a lighter watch. An avid mountain climber will need a nicer watch that can withstand the harshest outdoor conditions. Before purchasing an ABC watch, go through different customer reviews. Analyze each and every one of their complement as well as disappointments. The information you gather will help you in determining the accuracy of the watch before purchasing it. There is nothing more terrible than having your watch battery when you are out on a hike. Leaving the GPS on while hiking can drain your battery quickly. Always remember to turn it off when not needed. You can circumvent a lot of stress by doing research on battery power of each ABC watch before purchasing. Budget is probably the first thing that should consider while purchasing an ABC watch. There are watches in this category that go for very high prices. You can get simpler watches, but with similar features favorable for outdoor activities at a lower price. If you are tight on budget, avoid going for the too expensive watches. Always remember to cut your coat according to your cloth. Can you wear your watch while not in the field? The answer to this question poses a headache to many watch wearers because they don’t know whether they should buy two watches or not. One thing you need to know about ABC watches is that they are stylish and are acceptable in a casual business setting. ABC Watch manufacturers know the pressure many ABC watch lovers go through. They are therefore trying to manufacture smart watches that can be worn almost on every occasion. Are HRM and GPS such important features to you? The need to have an ABC watch doesn’t necessarily mean it must have a GPS and a heart rate monitor. If you have no use for these two features, buy a watch that doesn’t include them. Eliminating these features will save you a several dollars on your purchase. Who are the best ABC Watch Manufacturers in the market? There are many makers of ABC watches, but there are obviously those who have made a name for themselves. Building a name comes to a production of renowned quality items. Some of the best ABC watch manufacturers in the world include (in no particular order) Casio, Suunto, Pyle, and Garmin. Below we have listed some of the top ABC watches available on today’s market. We have checked their features and reviewed their Pros and Cons so that you are sure you are making the right choice. Specific features: It has an LCD display, larger digits and more information such as graphs, dial ring markers, and dual LCD pointers; It incorporates an altimeter, barometer, compass and a thermometer making it perfect for taking barometric pressure and bearing. It has an alarm for any significant changes in pressure and also displays the changes on the screen; Automatic time resets, meaning you no longer have to keep resetting the watch; Can withstand low temperatures of 10 C/14 F, Solar Rechargeable Battery. Description: This watch has many desirable features that should prompt every outdoor fanatic into owning it. 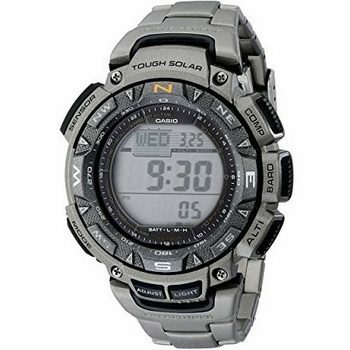 The Casio Pro Trek Sport Watch, is the former Pathfinder by Casio. This watch considers outdoor enthusiasts. 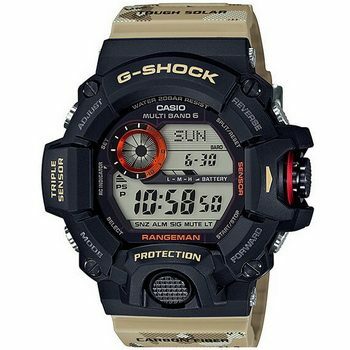 It has an intense solar power, the triple environmental sensor (altimeter, barometer, and compass). It also has a thermometer and world clock time display. Casio is a trusted brand that joined the race to manufacture wristwatch way back in 1974. It is known for its other electronics such as scientific pocket calculators. It has robust inbuilt solar batteries that solve the problem of having to change the batteries now and then. Unlike other ABC watches such as the G-Shock, the Casio men’s pro trek quartz stainless steel has a slimmer, simple and straightforward design. This watch is highly durable and can withstand harsh outdoor conditions. Despite the lack of shock resistance, the watch can withstand rain and snow. Related: You can also consider getting the Timechant Solar Charger so that you can recharge the watch batteries even without the sun. Specific features: Altimeter, barometer, and compass; it has an inbuilt weather indicator; water resistance of up to 100 feet; digital thermometer; an inbuilt storm alarm that senses any drop in pressure. Description: If you are on a tight budget but want to buy an ABC watch, then Suunto Core Sport Watch is your best choice. It gives more style choices by having different makes and the compatibility with various strap colors. Other the above features, what makes the Suunto Core ABC watch a favorable watch to appear in this list? This watch has an extended battery life that runs for 12 months. You can, therefore, be prepared to change your watch battery once a year, which is not that bad, but some watches have batteries that last for a couple of years at least. It is lightweight with only 2.26ounces, and it’s quite affordable. It is the go to watch for anyone who is not looking for a GPS or a heart rate monitor. This watch is highly stylish and perfect for everyone who would like a durable and strong product on them all the time. Related: If you are looking for a watch from the same manufacturer, but, with a different, more futuristic design, we suggest checking out the Suunto Core Sport Watch as well. Specific features: Altimeter, barometer and compass (ABC); Wireless connection capabilities. 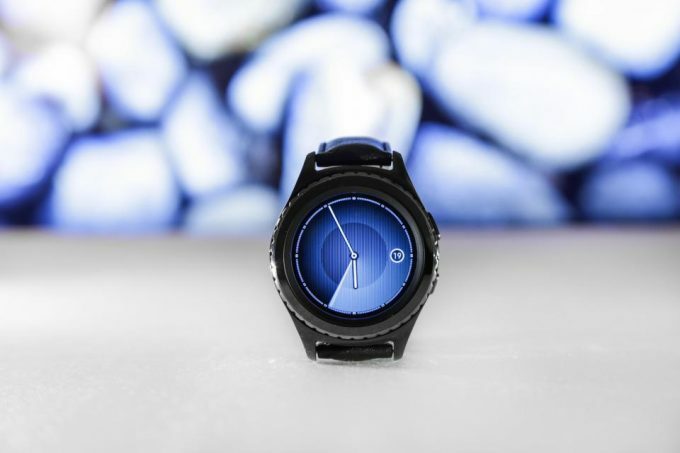 Once connected to a wifi hotspot, you can update the watch’ software, and auto-synchronize your data with the Garmin connect; 100meters water resistance capabilities; gps; heart rate monitor; wrist based heart rate monitor; water resistant to 100 meters; VO2 max estimator altimeter; barometer; compass; auto-calibrates its ABC sensor using GPS data. In addition to the above features, its battery life is prominent. It has a rechargeable battery which runs for 20hours with GPS on, 50hours while in Ultra track mode and up to 6weeks while in watch mode. Depending on your engagement, you can change the settings. This watch gives the correct position by the pairing of EXO and GLONASS antennas and faster than when using the GPS alone. It has a new feature, the HRM, which most other watches in our top nine list don’t possess. It is also a lightweight compared to other watches in this list. It also has a stylish touch that makes it suitable for casual business settings. If you are looking to buy an outdoor watch depending on technological advancement other than the price tag, then is the best that you can buy. Related: Make sure to check out the IQShield Fenix 3 Screen Protector as well, if you want to keep your screen scratch-free! 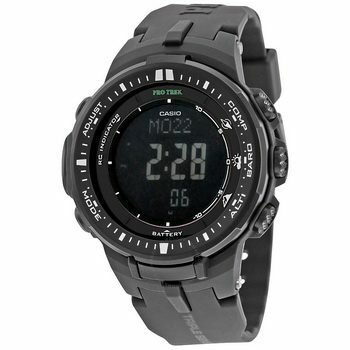 Description: The Casio Pathfinder Watch is closely similar to the pro trek solar watch. Just like the latter, it has a rechargeable battery and is solar powered. The main differences are the lesser polished look of the Pathfinder and minimized functionalities. This watch is cheaper than most ABC watches, hence a good choice if you are on a tight budget. Despite having minor features, it’s highly durable and can survive harsh outdoor conditions. For beginners, who want to test the capabilities of ABC watches and experience all the advantages of such watches, this is the best watch to use. Also, this amazing watch has a barometer and compass, which means that you can use it in the wild or while camping. The world clock makes it easy for you while traveling the world. You can use it in the water as well since it is resistant. All of the features make it really amazing. Related: Take a look at SE JT6222 Watch Repair Tool Ki which is a good addition to your gear if your watch gets damaged. 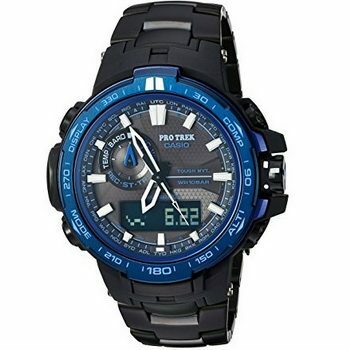 Description: Casio Protrek ABC Watch is one of the most affordable ABC watches on the market today. It has capabilities of withstanding low temperatures; as low as 14 degrees. It also has a long battery life as long as not exposed to too much light. It, however, has a stainless steel case which tied with the resin band. Incorporation of steel makes it heavier than most other ABC watches as it weighs 6.4ounces. It’s also not fitted with a GPS or a heart rate monitor. However, considering its price, it’s a good option for someone on a tight budget but wants an ABC watch. This amazing watch offers many features and it is a great choice for sportsmen as well. Additionally, the compass makes it easy for you to navigate in the wild and you will travel more comfortably. If you are in need of a good gadget that will help you with navigation, then this is it. Related: Make sure to check out Simple Matters Ditto Notification Device for People with Hearing Loss as well, because it comes as a useful addition, for when you are in the outdoors. 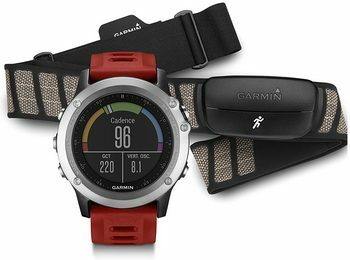 Specific features: Its distinguished features include; altimeter, barometer, and compass; heart rate monitor; incorporated with bluetooth technology; it has a 50 hour gps mode. Description: Suunto Ambit3 Running GPS Watch design mostly favors sports people such as marathoners and trainers considering it has an HRM. 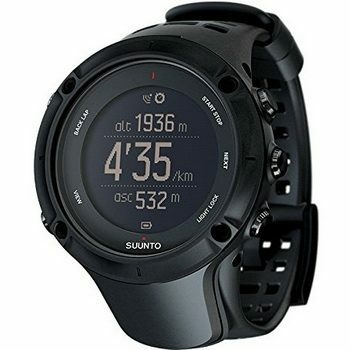 It also comes with free access to movescount.com which is an online sporting community by Suunto. However, it is not limited to sports training hikers, bikers, mountain climbers and swimmers can also use this ABC watch. 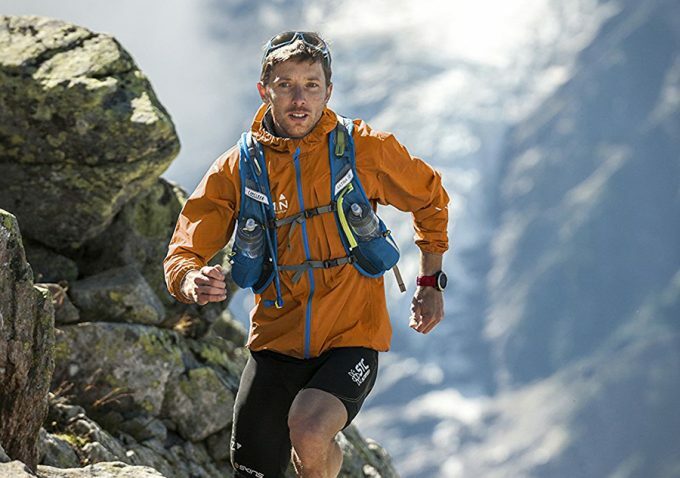 With the fitness-oriented features, Suunto ambit3 will be your best choice if you are into sports. This watch is a more affordable version of the Garmin Fenix 3. 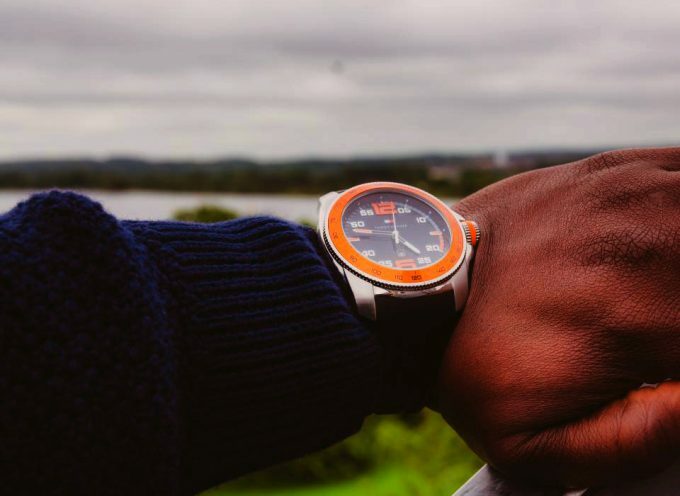 Your journey will be definitely easier with this watch because it has a good battery, route navigation and compass. It is also stocked with weather information and heart rate monitoring. It is available in multiple languages and it also allows you to discover new routes that you didn’t even know existed before. By using GPS data, it allows you to connect to social media and even remember your activity. Related: Take into consideration Suunto Ambit Power Cable because you will probably need it for your watch. 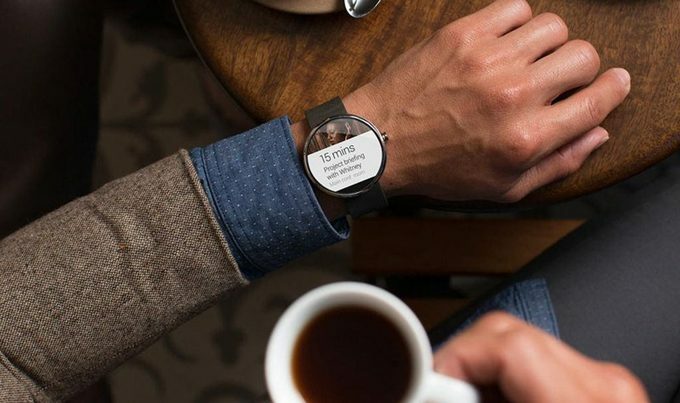 With this watch, you can easily track your calorie intake even if you don’t have calorie tracker installed on your smart device. The watch face is large and elegant making it suitable for wearing on many occasions other than a formal meeting. What makes this watch fantastic is the fact that it has many useful features. When traveling you will be able to use barometric options to predict weather changes, check the time of sunset and sunrise etc. The watch has a flashlight mode to help you navigate in the dark. Additionally, you can save all the data you used while traveling and transfer it to your laptop or share it with the world via social media. You can also use it in the water. 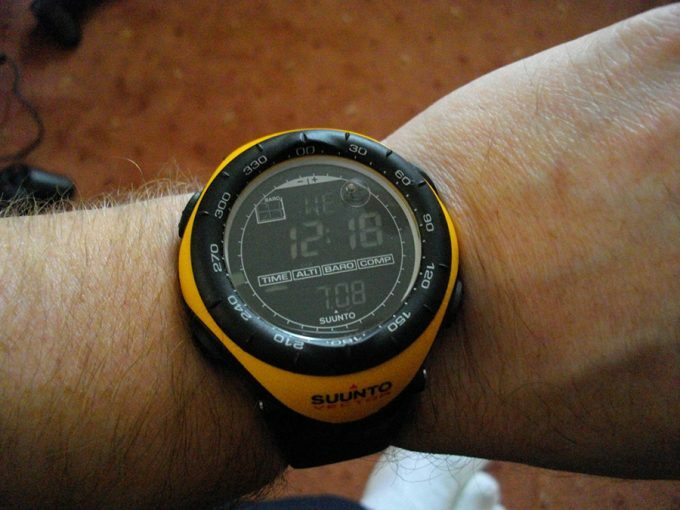 Related: Make sure to check out Suunto Traverse Screen Protector since it can be quite useful and it can protect your watch. 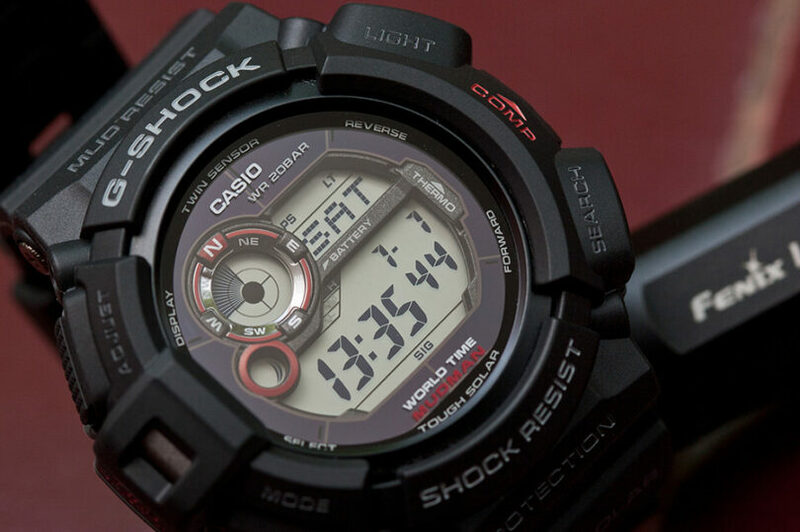 Description: Another one from Casio appears in our list of top nine best ABC watches. This recurrence should only tell you one thing Casio has exceptional timepieces just as the calculators. This Casio Rangeman Sport Watch is a desert camouflage and has features that can withstand harsh outdoor conditions. What makes this watch amazing is the set of very useful features that you can use in the wild. No matter if you are traveling, hiking or backpacking, this watch can be used as a navigator and compass. It also has a radio reception and orientation function. There is also thermometer, and you can see the time of sunset and sunrise. The battery is strong and you also get an alarm, timer, barometer and a huge display. This is a great watch for those you would like to have a useful gadget all the time with them. The design is stylish and manly. Related: Take a look at Casio Master Digital Watch, if you are interested in a similar model but different color. 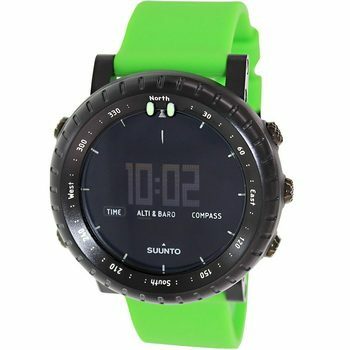 Description: This Suunto Spartan Watch is more of an ambit3 successor. It has a color screen and three dedicated buttons which, makes it user-friendly when swimming. It has the abilities to take daily steps. The watch is 100 meters waterproof. Based on your favored design, Spartan Ultra has crystal glass, stainless steel or titanium bezel. Let’s take a look at some of the really amazing features of this powerful watch. 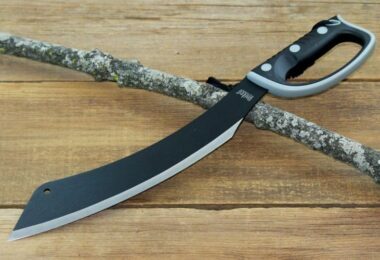 It has a strong battery life that can live up to 26 hours in your training mode and it also is made of titanium steel, which is of great quality. Additionally, it is water resistant so nothing would happen to it if you wear it in bad weather or even swim with it. It also works as a tracking gadget because it tracks your progress and training, which makes it perfect for professional athletes. You can also share your progress with friends and the world. 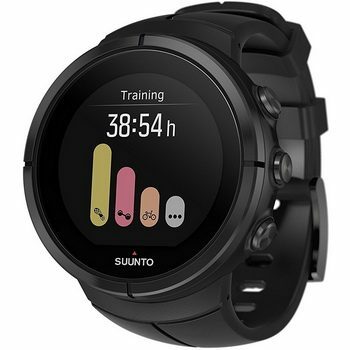 Related: Make sure to check out Suunto Smart Sensor since it can be a great addition to your gear and measure your heart rate. Owning an ABC watch is a necessity to all outdoor fanatics. Whether you are into hiking, camping, mountain climbing, a marathoner or a hunter, an ABC watch is a necessary item for your arsenal. However, as seen above, there are different makes of ABC watches and all have different features. Before settling on a specific watch, you first need to analyze your needs. Also, consider your budget. There are good ABC watches that come at a fair price. Your anticipated hiking areas and seasons of the years should determine your choice of ABC watch. For example, if you are planning to go hiking during winter, you need a watch that can withstand low temperatures. Different watches have different durability levels. Make sure you choose a watch that can withstand harsh conditions. If you are a climber, you should want secure straps that cannot break easily. To make sure you have made the right choice and that the ABC watch you want suits all your desired needs, read through customer reviews. With so many models of ABC watches and varying prices, you have no excuse as a hiker of not owning a tri-sensor watch. You are in fact spilt of choice and all you need to do is make up your mind on what you need. 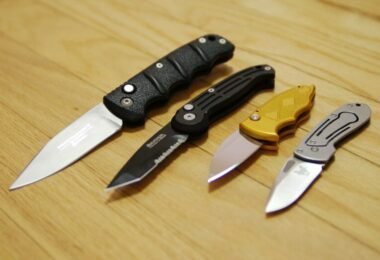 So, we hope that our article helped you in deciding which model is the best one for you. If you have suggestions or questions, feel free to leave a comment in the comments section.